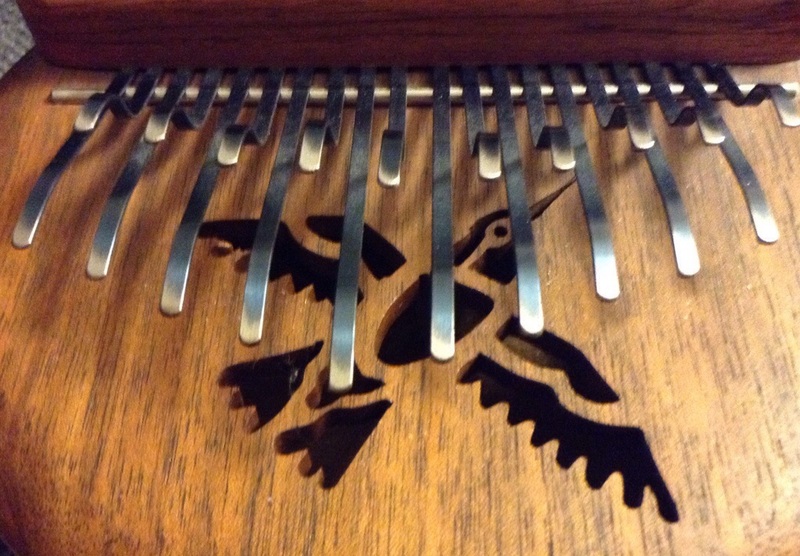 Practicing more on the kalimba today. I’m trying to play double notes. This is an improvisation. You start a rhythm and then make up variations on the spot as you go. I played this in the den and recorded it using a Blue Snowflake USB mic connected to my new MacBook Air. I used Audacity to record, edit, and save as an MP3 file. 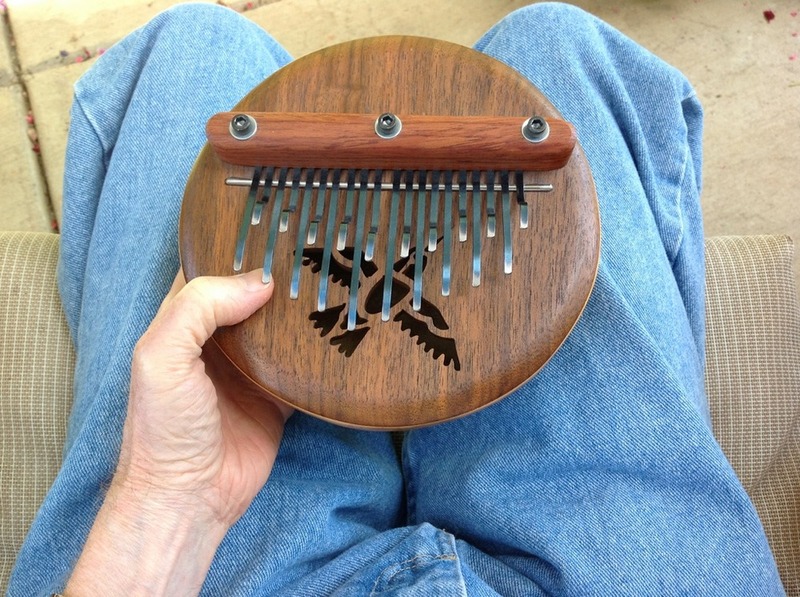 Here’s a recording of kalimba music. I recorded it today in the den using my iPad. Playing kalimba puts me in a meditative state. Very relaxing. This is a test recording using my new equipment setup. I’m playing a Kurzweil PC 88, audio stereo left and right out into a Blue Mikey audio connector into an iPad 3 using the MultiTrack DAW app. No FX, no post production. I’ve been practicing the piano for about a month and a half after a 20 year hiatus. I figure it will take several more months before I’m back to where I was. I’m putting this up to document my progress. I recorded this live with no edits. So, you will hear all my fluffs. Songs include “Take Five”, “Maple Leaf Rag”, “Nola”, “Solfeggietto”, ” Rock and Roll Boogie”, and “Cast Your Fate to the Wind”. And now we travel back in time 40 years to hear me play some ragtime piano. I made these recordings on May 25, 1973. I was single then and for a short time I played piano in a bar in Dallas, Oregon. One day while practicing I used an audiocassette recorder so I could listen to my performance. These are unedited recordings including bad timing, wrong notes and all. This picture of me at the piano was taken in Bartlesville, Oklahoma in 1969. The original recording was made on a Sony CF-400 audiocassette recorder. Each song was digitized through the iMic and saved as an AIF file at 16 bit, 44.1 kHz. I then combined all the songs into a single AIF file and used iTunes to convert the AIF file to a 64 kbps, 22kHz. MP3 file and to set the ID3 tags. I produced this in real time on my iPad using the Mixtikl app. You can record live in the app and then save it to the clipboard and paste it in another application. I pasted it in MultiTrack DAW and added a fade in and fade out. I figured out how to upload an audio file to my WordPress install using my iPad and link to it in a blog post. It’s a two step process. First, I record the audio clip in MasterTracks DAW and email it to Dropbox using the free Send to Dropbox service. I then use FTP Client Pro to copy the audio file from Dropbox to my WordPress install on DreamHost. I’m using BlogPad To write this post and I’m using a shortcode to display the audio file in a player. I have the Jetpack plug-in which takes care of showing the audio player cross platform. I can choose a picture from the Media Library like this one of my harmonica. And I can insert an audio player if the audio is already on the server. In 1981 my mother gave me this Casio VL-Tone musical instrument. It was one of the first electronic musical instruments and (drum roll) it was also a calculator. I still have and it works. It has several instrument sounds and rhythms. It also has the ability to shape your own waveform by setting the ADSR (Attack, Delay, Sustain, and Release). You can record melodies up to 100 notes long and play them back automatically as you played them in or you can play them back one note at a time. In this sample I used the Swing rhythm and I set the ADSR to sound like a banjo. The instrument has a line out which I connected to my iMac. I recorded in Audacity. My second piece on SoundCloud. Made on the iPad with Mixtikl, Thumbjam, and MultiTrack DAW. This is a test to see what happens when you link to an audio file (m4a) in the public Dropbox folder. Well, it works. That’s cool because that means you can store audio files on Dropbox (for free) and display them in a WordPress blog. Seeing what happens when I link to a SoundCloud page. Created this piece on the iPad 3 using Mixtikl, Thumbjam, and MultiTrack DAW apps. I’m playing this with my thumbs. It’s hard to play with consistant volume on each note and even more difficult to play with feeling. I also used the Tempo app on the iPad to increase the tempo. Kris gave me this Kalimba a few years back for Christmas. 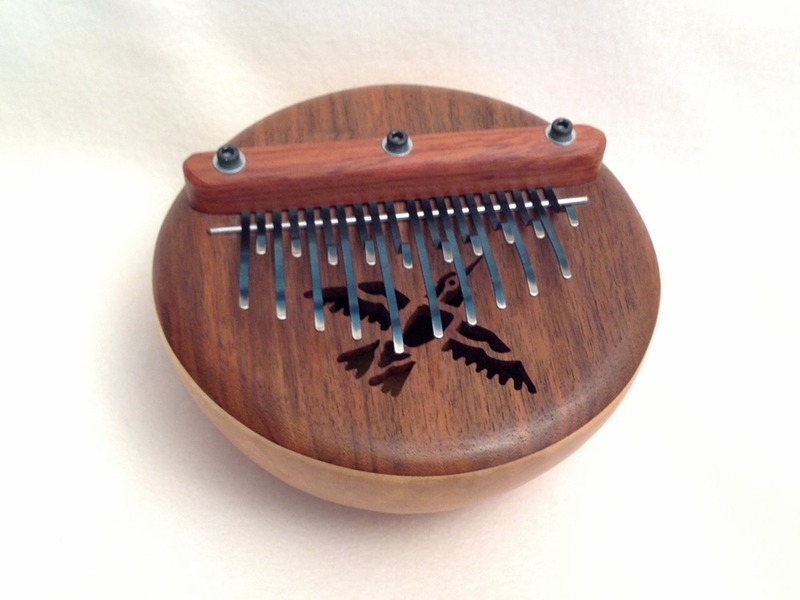 It’s made right here in Oregon at Thumb Fun Kalimbas. I’m finally getting around to learning how to play it. I watched a few videos on YouTube. This recording is my first – just some rhythm ideas. I wrote this melody many years ago to go with the lyrics written by my good friend Carolyn Tracy. I recently bought a new “D” tin whistle and I’m just starting to learn how to play it. Here’s my first recording. I played two songs – “Simple Gifts” and “Go Tell Aunt Rhody”. I found a new use for my old darkroom out in the barn. I did this recording in it. I used MultiTrack DAW on my iPad and the iPad’s built-in microphone. I added a bit of reverb.